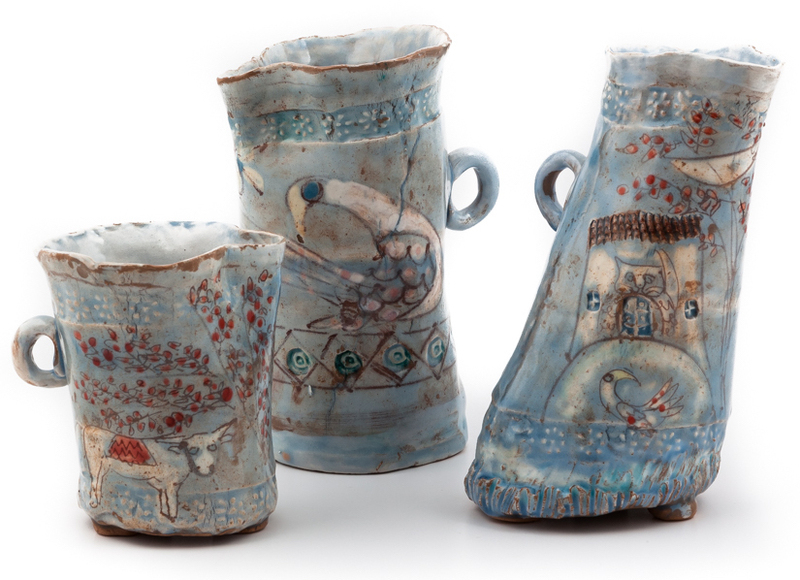 The originality of their decorations and the irregular material used to craft them, are the main features of these three jugs. 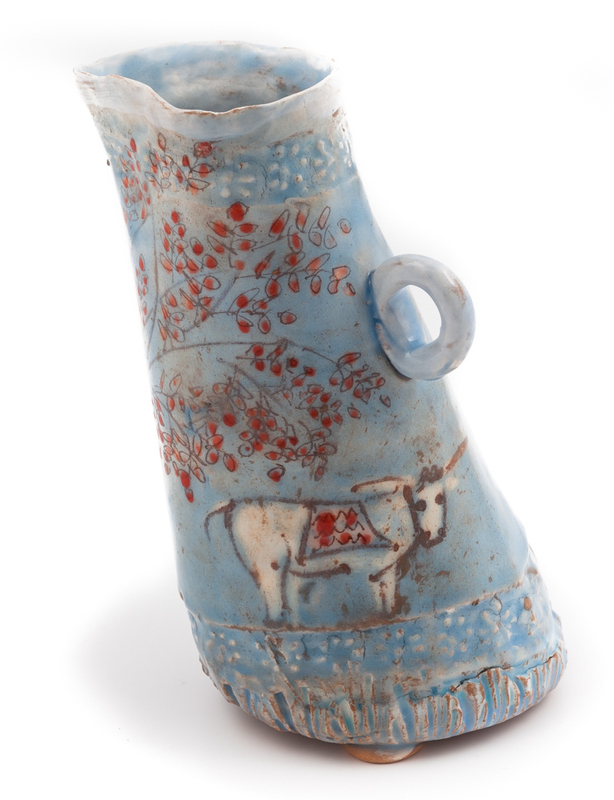 The fine and dreamlike decoration is the leading thread of this collection, interpreted through the stylised forms of a cow, a bird and a small house. 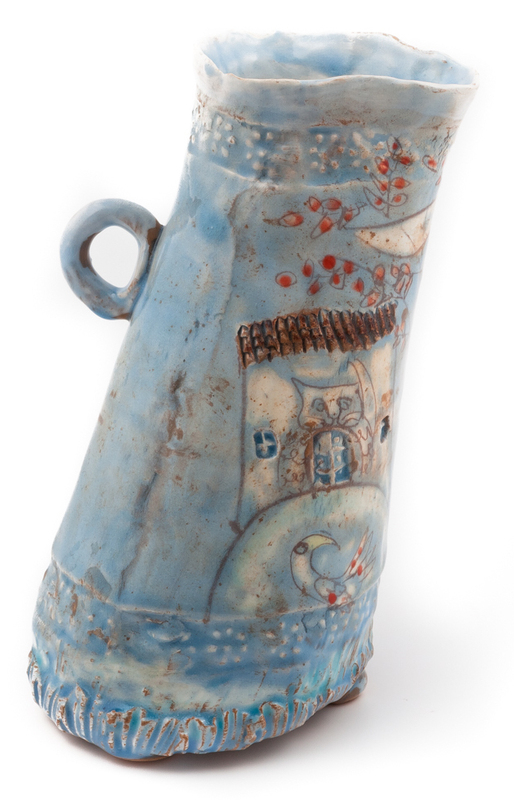 This core feature of the collection, different in each piece, features different shades of light blue and underlines the potter's pictorial skills. Conceived as an object of daily use, despite the strong artistic connotation, it is made with non-toxic lead-free materials.